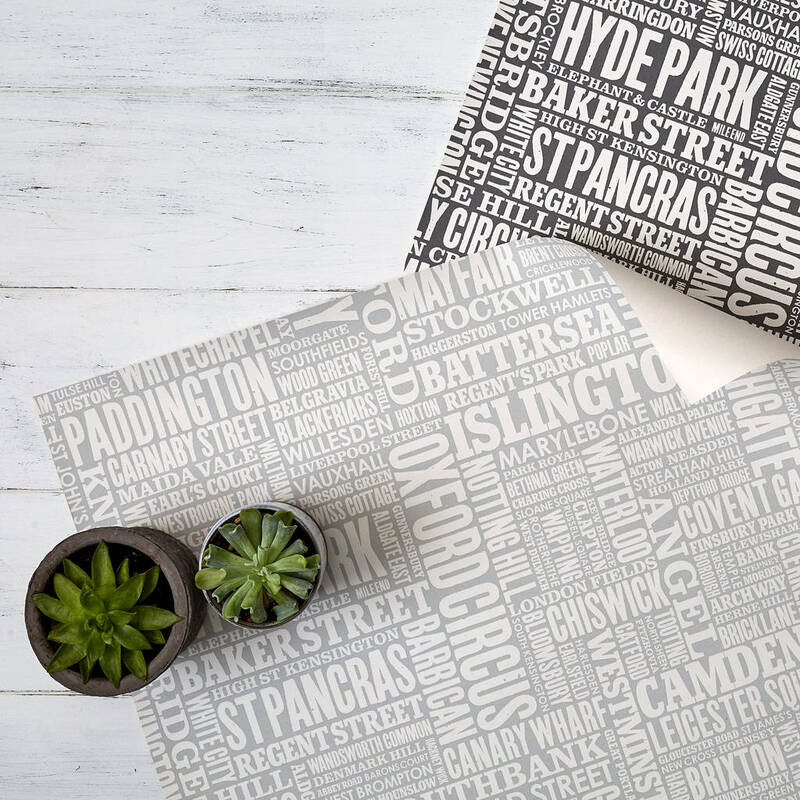 Love London? 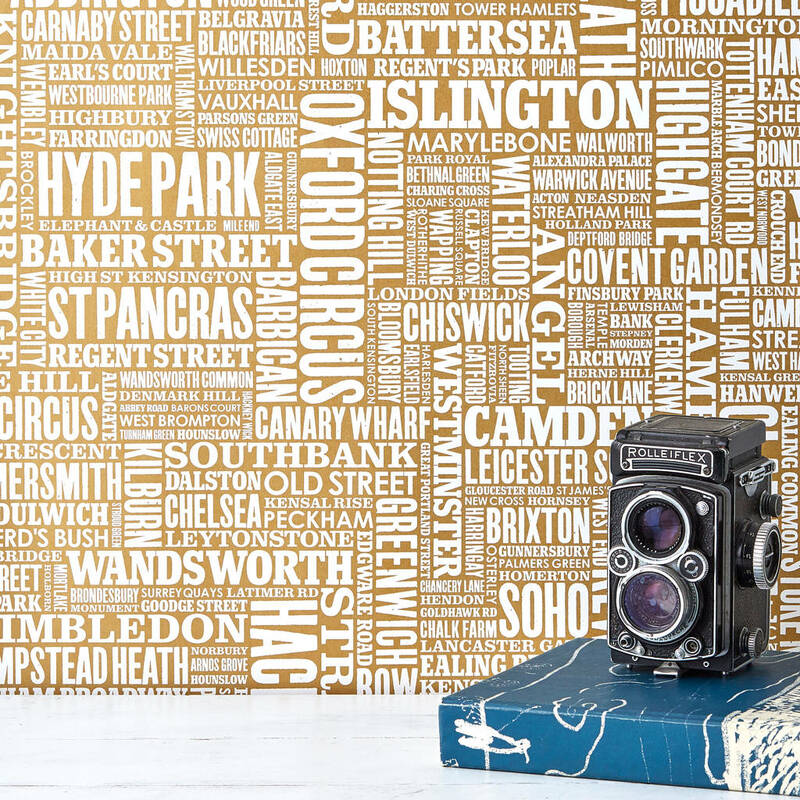 This London Type wallpaper features over 200 place names and districts. 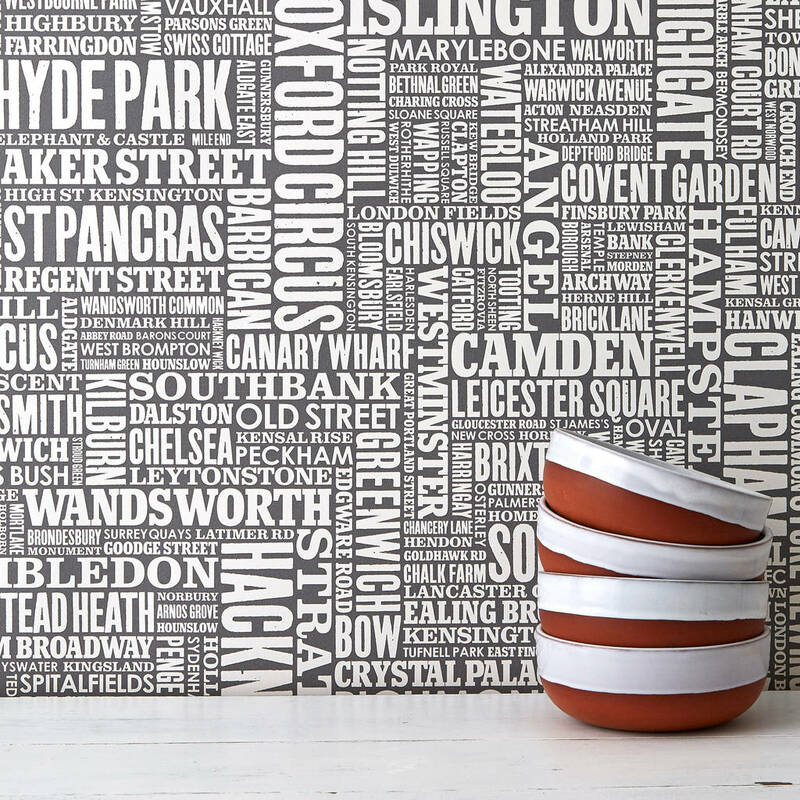 Perfect for a feature wall. Available in 3 colours: Gold Copper, Light Grey and Dark Grey. 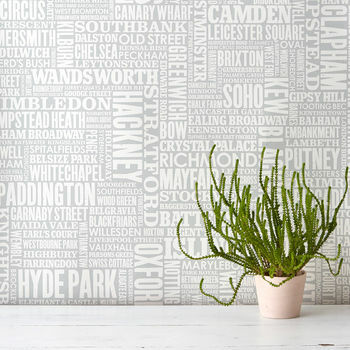 Our 'London Type' Wallpaper is printed in Norfolk, England. Hanging instructions come with the roll for this 'paste the paper' wallpaper. For best results it should be professionally hung, particularly for unusual spaces. Your decorator will be able to measure up, calculate trimming/ pattern matching and advise on the number of rolls to purchase. 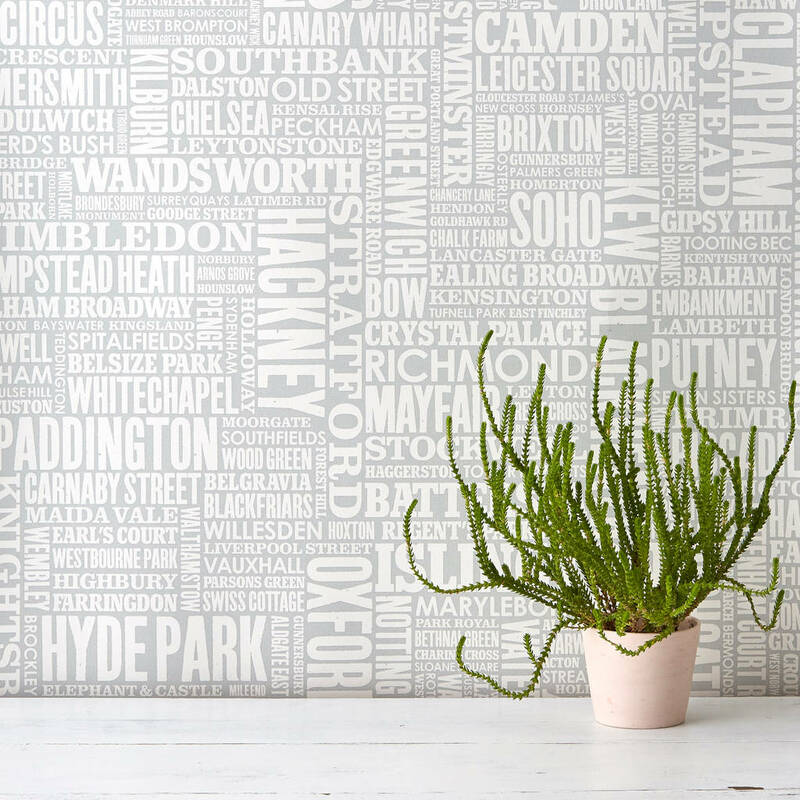 If you'd like help calculating how much wallpaper you need please message us through the 'Ask Seller a Question' button above. This product is dispatched to you by Bold & Noble.